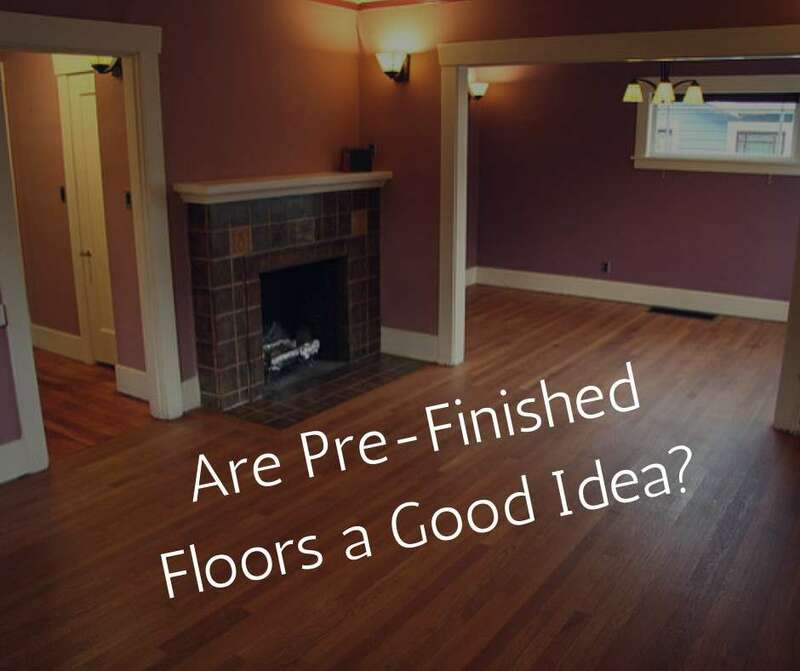 Are Pre-Finished Hardwood Floors a Good Idea? The first hardwood floors were installed as unfinished bare planks that were later to be stained after installment. In the last few years though hardwood floors have skyrocketed in popularity and with that have come many new and different types of hard surface flooring products that are hardwood or look like hardwood. For those that are set on the real thing, they have the choice between unfinished or prefinished floor planks. Which brings up the question, is prefinished better? They are Durable: In the factory, hardwood manufacturers are able to apply the most powerful of chemical sealers with a commercial process. This is not possible or available with unfinished hardwoods that need to be stained and sealed on site. Factory applied stains and finishes usually carry a warranty of 5 to 25 years as compared to 3 to 5 years with onsite finishes. Easy to Install: Since the finishing process is done before the floor planks even arrive at your home, installation is much faster. Finishing on sight requires days of sanding and waiting for chemicals to dry. Easy to Maintain: Since the sealant is applied by machines and is more sturdy, the maintenance for pre-finished floors is easier. Pre-finished hardwoods tend to stand up better to stains, liquids, moisture, and things that lead to discolorations. Also the need to go through the ordeal of re-finishing every few years is not there. Unsealed Seams: Since the finish is applied at the factory the seams go unprotected after installation. An unsealed seam can lead to dirt and grime getting caught between the cracks in the boards. These seams can also allow liquid in below the surface. Both of these things can cause significant damage when floors are not properly cared for. A Perfectly Flat Subfloor is Needed: if your subflooring is uneven and you install pre-finished hardwoods the individual planks will look uneven and bumpy. There is no sanding to even them out. With an unfinished hardwood, you can sand the boards to an even surface before staining and sealing. Re-finishing Takes Work: Though pre-finished wood does not need to be re-finished for several years, when it does need re-finishing the thick machine applied finish will take a heavy amount of sanding to fully remove before re-finishing. Repairs Can be Tough: On site finishing allows for simple sanding of the spot that is damaged. Pre-finished floors will require either re-finishing the entire floor or removal of the damaged section. The bottom line and answer to the question above? It depends on what is beneficial for your home and lifestyle. There are many good reasons to purchase a prefinished floor product, but some homes may still benefit from installing hardwoods the old fashioned way. For more information on caring for your hardwood floors please feel free to browse our website. For trustworthy professional hardwood floor cleaning in Bellevue and surrounding areas make an appointment with All Kleen over the phone or online.